Standing in wild nature Oirase Keiryu(Oirase Stream) flows about 14 kilometers from Nenokuchi, located on the shores of Lake Towada, along the floor of Oirase Gorge. 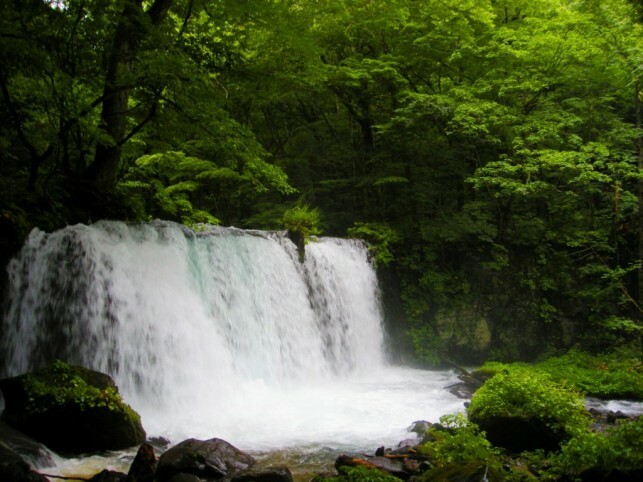 Oirase Keiryu is designated as one of Japnese national beautiful sight and natural moment. Along the stream there are walkways and you can enjoy wonderful forests and waterfalls in every each seasons. 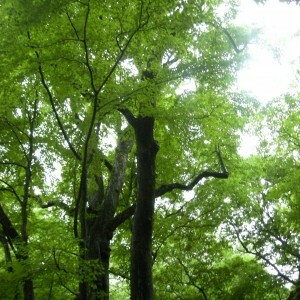 Especially in early summer green and in autumn scenery are breathtaking. Also the walkway is chose by "Japan's Beautiful Paths 500". 幅20m、高さ7mで、十和田湖に入ろうとする魚を拒むことから、別名【魚止めの滝】とも言われている。水しぶきがキラキラと見ている側に降りかかりそうな、そんな迫力を真近で見る事ができる。Grand Choshi Waterfall 20meters in width and 7meters in height,is also called " Fish Interrupting Waterfall" because stands there as if to refuse fishes go into Lake Towada. You can go close enough to see its dynamic scene and feel water sprays from this waterfall. Despite of hot and humid weather of these days, here is another world that fulfilled with lively forest of eye-cooling green beech trees and sweet sunlight drops through leaves. Green tunnels fully welcome us and giving us coolish air and free moments from busy daily life. When you need nature healing, why don't you come Oirase. By Public Transports: JR Hachinohe statioon → JR Bus Oirase-Gou bound for Lake Towada 1hr52mins. Get off the buss at the bus station:Choshi ootaki and walk for a min. Copyright © 2010-2019 AOMORI-MIRYOKU All Rights Reserved.